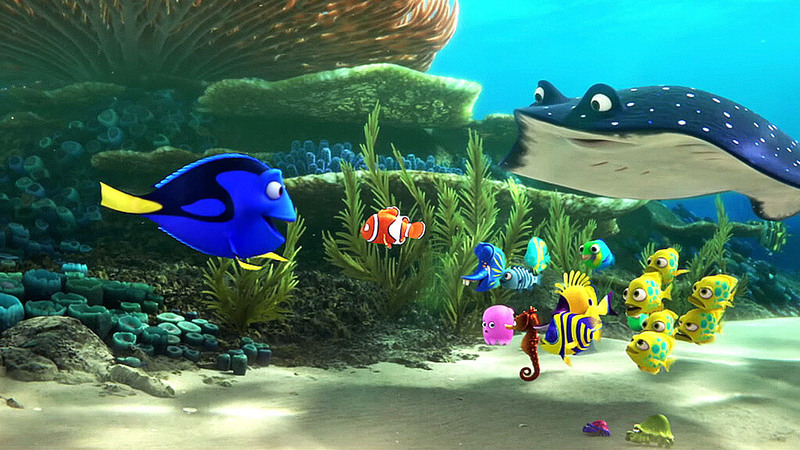 Where’s the Story Finding Dory ? Finding Dory follows Dory (Ellen DeGeneres), the comic relief from Finding Nemo cursed with a lack of memory, as she attempts to find her long-lost parents. In the same way, literally, that you physically ached for Marlin (Albert Brooks) reuniting with his abducted son, Nemo (Hayden Rolence), in the first movie, Dory’s plight in the sequel is palpably emotional. Cutting to flashbacks of the aforementioned giganto-eyed baby Dory absentmindedly losing track of her family is emotional manipulation more than worth the price of admission. The degree to which you enjoy this by-the-numbers, unfortunately unnecessary sequel will heavily rely on your tolerance for DeGeneres and embrace of baby Dory, who is, again, the cutest thing ever created by humankind. In terms of cash-grabbing franchises, a commitment Pixar doubled down upon some time ago now, Finding Dory is beyond acceptable. Pleasant, endearing and possessed of enough charm to make you overlook its lack of originality, the film is about as much as you could hope for from such a calculated follow-up. Sadly and honestly, even now, I don’t know if that’s a compliment.